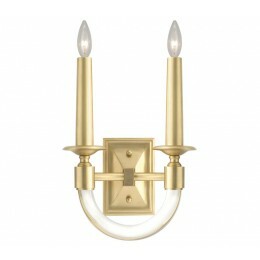 Transitional solid brass sconce in antique brass finish with solid curved clear acrylic rod(s) that reflect light. 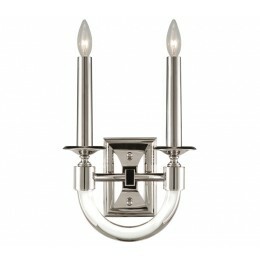 Also available in polished nickel #846450. 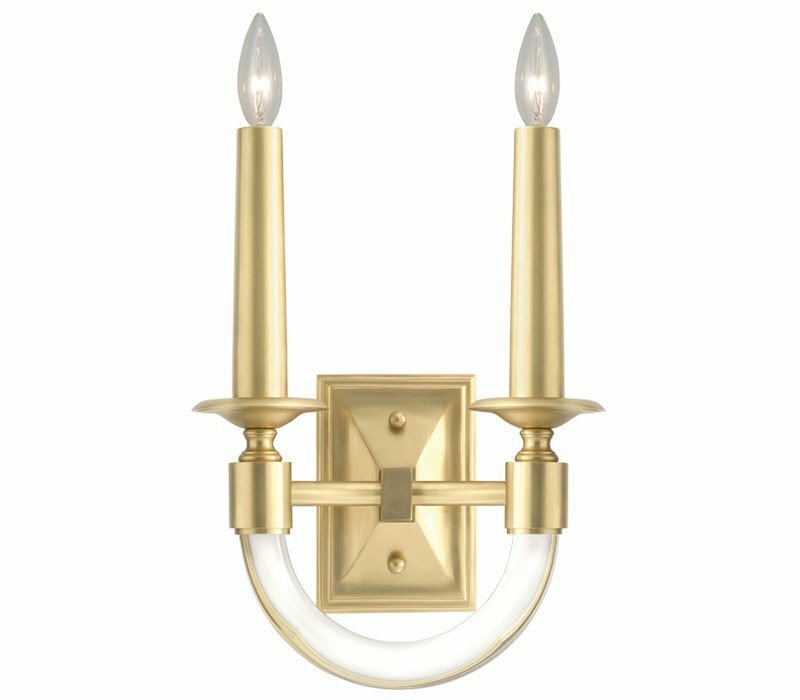 The Fine Art Lamps 846450-2 Grosvenor Square collection Sconce Wall Lighting in Antique Brass uses Incandescent light output and brings Contemporary style. This item is 14"H x 11"W x 5"D. The total wattage is 120 and the voltage is 120 volts. The Fine Art Lamps 846450-2 requires 2 bulbs (not included). Additional Information: Shade-Solid Curved Clear Acrylic Rod.